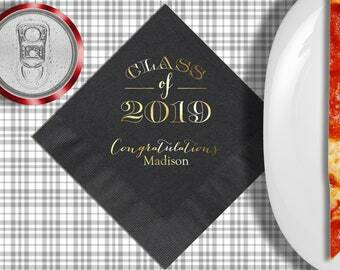 See additional images for napkin colors, imprint colors, font styles, shipping chart. Select your napkin quantity from the "Napkin Quantity & Guest Count " drop down list. 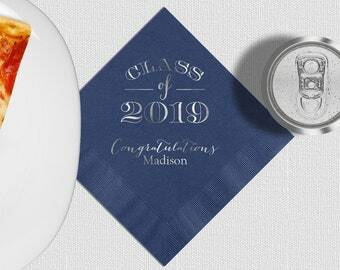 Add a sentiment, name(s), date or other wording to your napkins in the personalization text box. Production Time: 3 business days after purchase. Production may be delayed from starting if you have a question attached to your order or if we need to contact you to clarify your personalized instructions. Shipping: UPS - please provide a home or business address for UPS to ship to. UPS does not ship to PO Boxes. 𝐇𝐨𝐰 𝐦𝐚𝐧𝐲 𝐧𝐚𝐩𝐤𝐢𝐧𝐬 𝐝𝐨 𝐈 𝐧𝐞𝐞𝐝? A general rule of thumb is 3 to 5 napkins per guest. 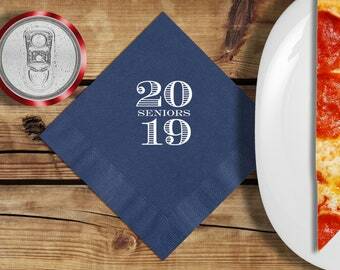 In addition to using them as beverage napkins they can also be used for appetizers, desserts or snacks. 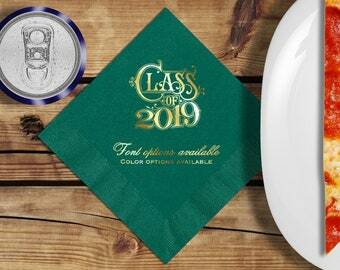 If you need more than 2550 napkins please message me from this product page and I'll provide you with a quote. Colors may vary from how you see it on a monitor because monitors are calibrated differently. The true and accurate color is how you see it when it arrives. 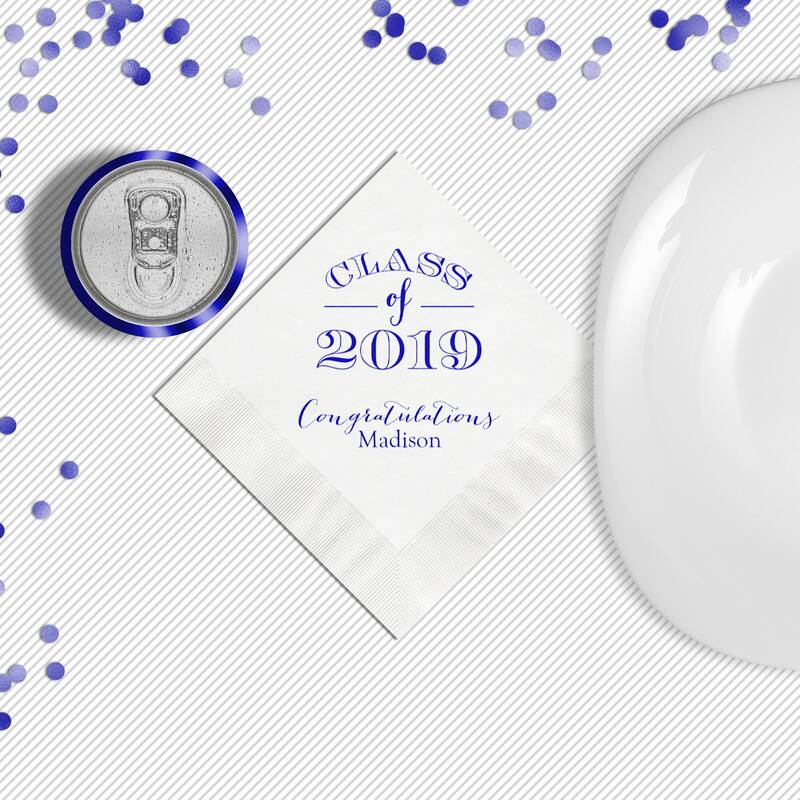 If this is a concern for you please contact us prior to ordering so you can purchase a napkin sample (not personalized) so you can see it in person before committing to a full order.